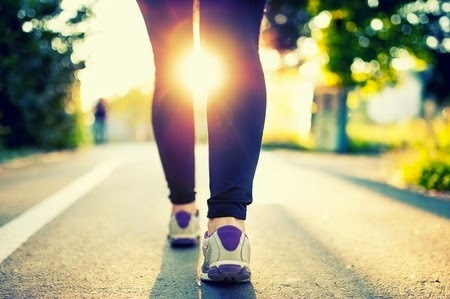 You always had a goal to run a race one day but you did not know where to start. I have the program for you because it starts you out slowly, very slowly. My client asked for this program for a friend. She needed a running routine for an obese runner. Also if you are trying to start jogging at 40, 50 or 60, you should give this program a try. If your knees are not in the best of shape, run on a treadmill instead of running on pavement. Look for a nice cushioned running track that would be great place to start. It may help you from being injured or developing a lot of musculoskeletal problems; however, you will need a good pair of running shoes and a stop watch. You do this program 4 days a week and rest or do weight training between your run days. This will get you started and I will update and give you level 2 in four weeks. Let me know how it is working for you. It's slow but it will help you from developing a lot of aches and pains. Remember to do your run workouts 4 days a week and you can increase or decrease the pace of this program to fit your need. I love that you're sharing this. I have a few friends who started running this year, and needed to start slowly as you described. Thanks for posting this. I have always felt I couldn't run, but this seems very reasonable. 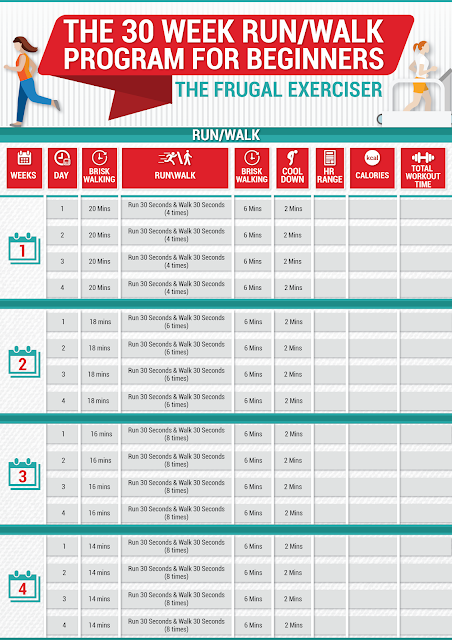 I hope this helps you into restarting your running program. I have never run a marathon and did not know where to start. I have been researching and found this schedule to be feasible for me. I am excited about this, because this is one idea on my bucket list that I want to conitnue yearly, once I start. When phase two comes out, how do I access theinformation? Do i bring up your website or will it be sent via email? Thank you for doing this! I would like to start right away but I'm not sure what kind of running shoes to get. Do you recommend any one brand over another? Where is the link for phase 2? I can't seem to find the other phases of this program. Is it posted on another site? Help! DEFF going to start this the new year! I am sharing this because I know some folks who do not know where to even start. Looks like a doable program.